The Mars One consortium said its first manned mission to the Red Planet would now not happen until 2031, having previously targeted 2026. Its first unmanned mission has also been delayed by four years to 2022. The delays are due to a "new financial strategy" linked to Mars One's sale to Swiss financial services company InFin Innovative Finance AG, which was announced last week. Currently, Mars One consists of two entities: British public limited company Mars One Ventures and the Dutch not-for-profit Mars One Foundation. Mars One's controversial project aims to send pioneering colonisers on one-way trips to the Red Planet to set up a permanent human settlement. Some 200,000 hopefuls from 140 countries initially signed up for the project, which is to be partly funded by a reality television show. Those have now been whittled down to just 100, out of whom 24 will be selected to make the seven-month voyage of no return. The chosen candidates, who will leave Earth in six groups of four, will have to find water, produce oxygen and cultivate their own food. So far, the only NASA missions to explore Mars have been unmanned. NASA is currently working on three Mars missions with the European Space Agency and plans to send another rover to Mars in 2020. 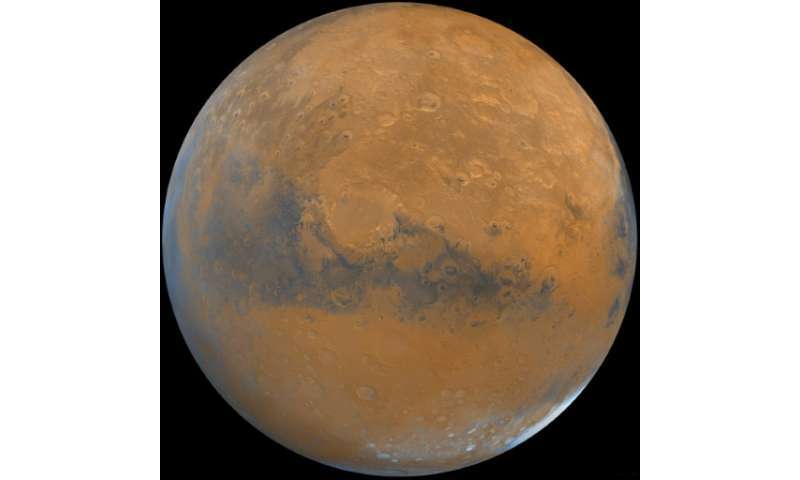 But NASA has no plans for a manned mission to Mars until the 2030s. "The Mars One consortium said its first manned mission to the Red Planet would now not happen until 2031, having previously targeted 2026"
They were actually targeting the Mars opposition of 2027, which is amusing because it is the worst (furthest) opposition of the entire 21st century. Simply waiting to 2033 saves tens of millions of miles of travel through interplanetary space as compared to 2027. NASA picked 2033 for a reason. Been watching the new Mars show. They were talking about self-sufficiency on Mars after a few decades. Ridiculous. Mars won't become self-sufficient until after Intel builds a foundry there. So centuries is more like it. Haha. As I have said before, this is a scam. People are starting to realize it. and are looking for a way to save face. It will all collapse like the house of cards it is, and there will be a lot of gullible fools left with nothing but bitterness. Traveling to Mars will happen some day, but it will not be done by Barnum and Bailey con men. IIUC, the new financier InFin Innovative Finance AG is a penny stock. What - 10% the total distance? You sure about that? The actual situation is a more complicated because our orbits are also in slightly different planes. To get the actual difference we need to compare actual Hohmann transfer orbits with a known spacecraft against each other. Unsurprisingly, NASA wisely considered orbital mechanics in selecting 2033 for the outbound portion of the journey and the even closer 2035 opposition for their return. These are the two best Mars oppositions in the 15/17 year cycle of Mars oppositions.